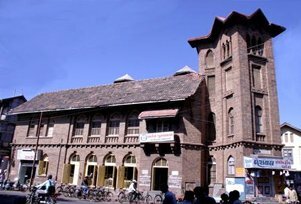 One amongst the oldest library in Gujarat, the Barton Library was set up in 1882 with a small collection of 5000 books donated by Chhagan Prasad Desa. This major institution is closely associated with the Chhagan Prasad Desai Library and has special status on the cultural map of Gujarat. Academicians, researchers and intellectuals consider this institution a treasure trove of information. Today, the library has to its credit more than 61000 books in English, Hindi and Gujarati language. Thousands of books in Gujarati in various subjects are part of the institution's prized collections. The history of the State is incomplete without the Barton Library and book lovers in Gujarat look forward to seeing this institution emerge as the best in India.